What a terrifically crazy, but very good past week! I hope you are doing well, even if your life is crazy-good like mine. Amidst the crazy-good I did manage to work on a new little design. I've worked it, and re-worked it-- frogging it dozens of times, sketching it out on graph paper, playing, experimenting, and literally cutting out sections of yarn. a long way from finished. So that's what has been churning on my hook and in my head as of late. I'm pretty excited to see what happens as this progresses. And just wait for the border! Oh,snap! I HAVEN'T WRITTEN DOWN A SINGLE STEP OF THE PATTERN YET!!!! Double snap!! Why do I do that? Anyone else have the same problem? You get going with such enthusiasm that you lose yourself in the process? By the way, I'm thinking about the name Crazy-Good for this design. Fitting, huh? If you missed my guest post on CrochetHappy.com about how I select colors for crochet, head over and take a gander here. By the way, I had another Junie B. Jones moment in which I runned and runned around the room like a speedy rocket and hooted and hollered. Well, not really, but I wanted to really badly. Here's why. This picture of mine was recently published in a surface crochet feature in Simply Crochet magazine right alongside several other talented crochet designers. See what I mean about crazy-good?!! VERY crazy-good! Be grateful for the crazy good in your life. I'll stop in later this week. Thanks, Preeti!! You are so sweet. Thanks, Cazzy! Glad you stopped by. looking forward to the pattern. LOL! Yes, Janet, me too! It may take me a while since I haven't even STARTED writing it down yet. Yikes! Wow--congrats on the inclusion in the magazine!! It appears from the pic that it's a British publication--which means a trip to the bookstore for me! Can't wait to see it! Thanks, Lori! 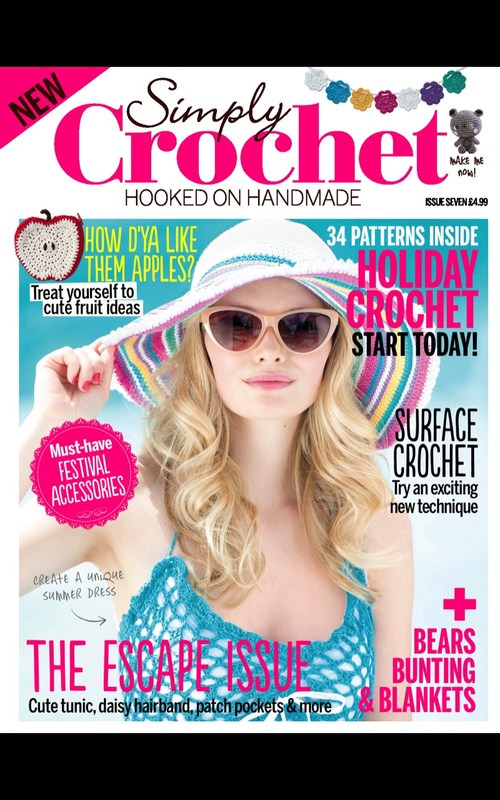 Simply Crochet is a British publication--which means the current issue is not here locally yet! I don't even own my copy! But I love this magazine--great color that suits my style! And they often include lots of fun patterns and little supplies. I think this edition might even include a hook! I'm going to subscribe online today! Isn't inspiration awesome! Glad I could help get your juices flowing! lovely! 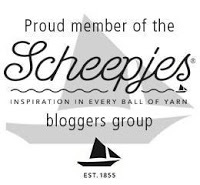 just found your blog and I can't wait to check it out! I love, love, love the design and congrats on the magazine. You deserve crazy good! You are Crazy Good =D I have been crocheting all my life(59) and I have never been able to do much more than follow a pattern. The name is so appropriate. Can't wait to try it!!!! LOL! Crazy, maybe! But thanks for the sweet compliment! I've got somehting for you on my blog. Djeez, no clue as to how you did that, but it looks GREAT!! would love to see the pattern, but it seems quite daunting, maybe tooo daunting as a project for me ... but I do LOVE the design. Carmen, it's really not so tricky! And I put lots of pictures and diagrams in the pattern to help. If you are ambitious, you should give it a try! 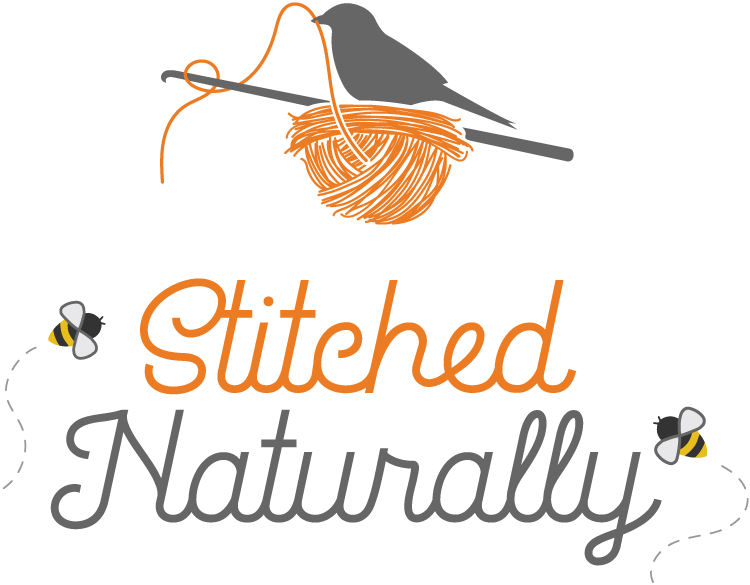 It's a fun technique with just regular stitches! Thanks for the kind words.